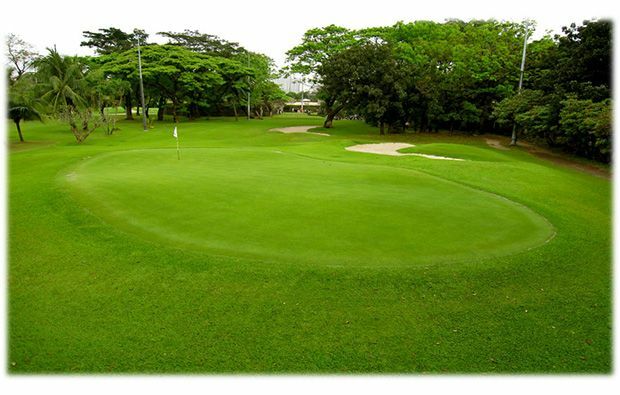 Designed by Andy Dye, Club Intramuros Golf Course is a parkland style course and was first constructed in 1907, making it one of the oldest golf courses in the country. 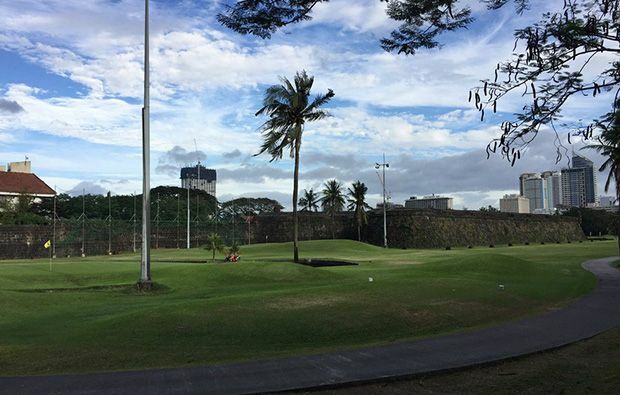 Not only that, but Club Intramuros Golf Course must be one the shortest 18-hole golf courses in the country too. Playing at a total of 4,321 yards, the course is a par 66 but just because it is short, does not mean it is easy. The course is a real test of a player’s short game and accuracy is key to hitting a low score. This is definitely a golf course where finesse is rewarded over pure power and in truth, clubs like the driver, could be left at home. There are plenty of hazards around the course, including water and bunkers, plus the occasional wall, which forms part of the surrounding wall of the old city. Almost every hole has an out-of-bounds area, so anything which is wayward, could result in a penalty. During the round, players are required to cross one of the streets going through Manila, in order to continue. This is a brief interlude, reminding players of the madness within the city, before the calming and relaxing nature of the golf course resumes. 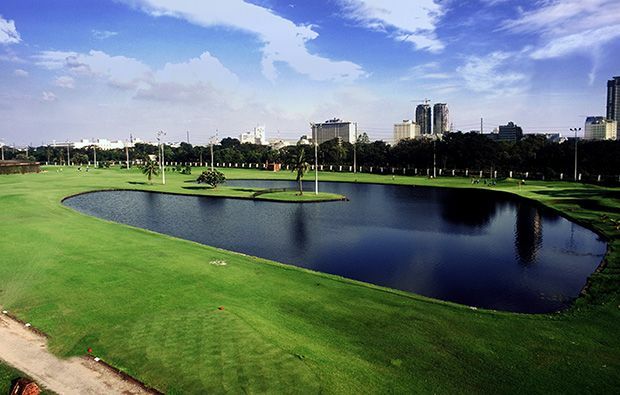 Club Intramuros Golf Course is the only golf course in the Manila region, to offer night golf. The course is floodlit, meaning it’s possible to play at any time of day. Also, as the course is very short compared to standard 18-hole golf courses, the majority of players can get around within 2 hours, making it perfect for those short on time. Other facilities include a driving range, putting green, club house, restaurant, pro-shop, barber shop and a music lounge. Club Intramuros Golf Course is a quirky little course and well worth taking the 2 hours or so to play, when staying in Manila. 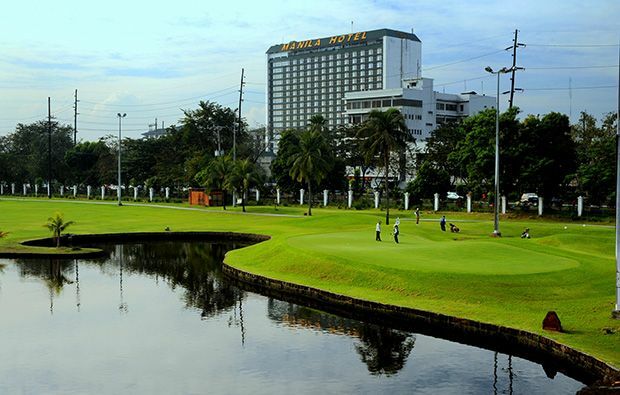 Club Intramuros Golf Course has different Services to offer. Choose a date and number or players to see the rates.